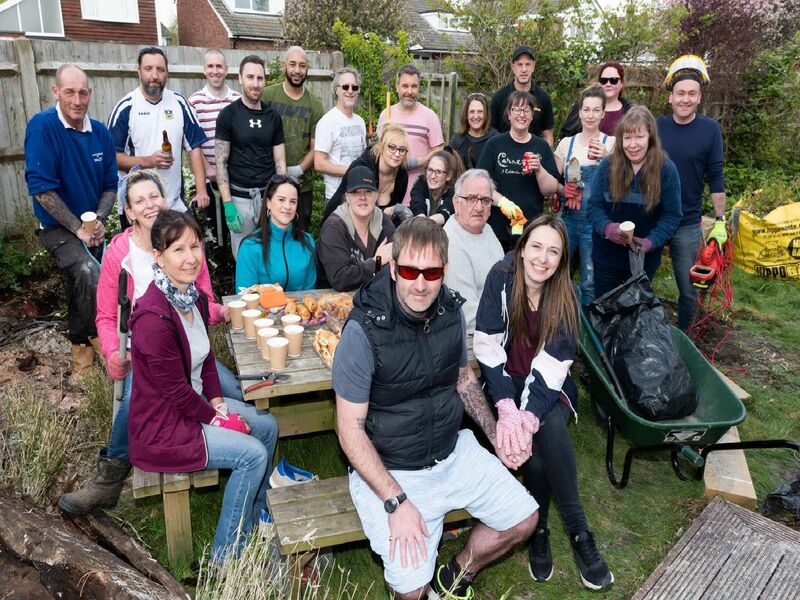 Ricky and his fiancee Clarrisa were overwhelmed by the outpouring of support by family, neighbours and strangers to help them renovate their garden that was on Ricky’s to do list before he was put in a coma and spent three months in Queen Alexandra Hospital. You can read our full story here. Volunterr Barry Cooter. Picture: Duncan Shepherd. Rubble from inside the house has stacked up in his garden and his partner is calling on the community to help shift it so Ricky can enjoy the space with their three-year-old boy, George, and make up for lost time this summer. Picture: Duncan Shepherd. Dan Knight and Mike Symes helping out. Picture: Duncan Shepherd.